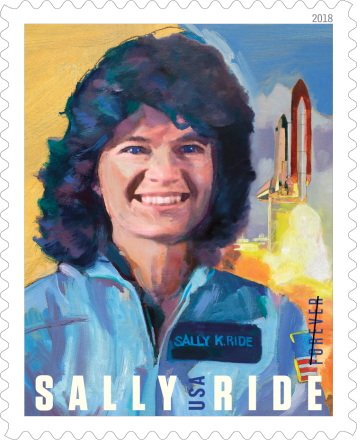 Today, the United States Postal Service unveiled a preview of its 2018 stamp program, which includes one honoring the late Sally Ride, the first American woman to fly in space. The USPS didn’t say when the stamp would be available. Ride is depicted in her blue NASA jumpsuit, with the space shuttle in the background. 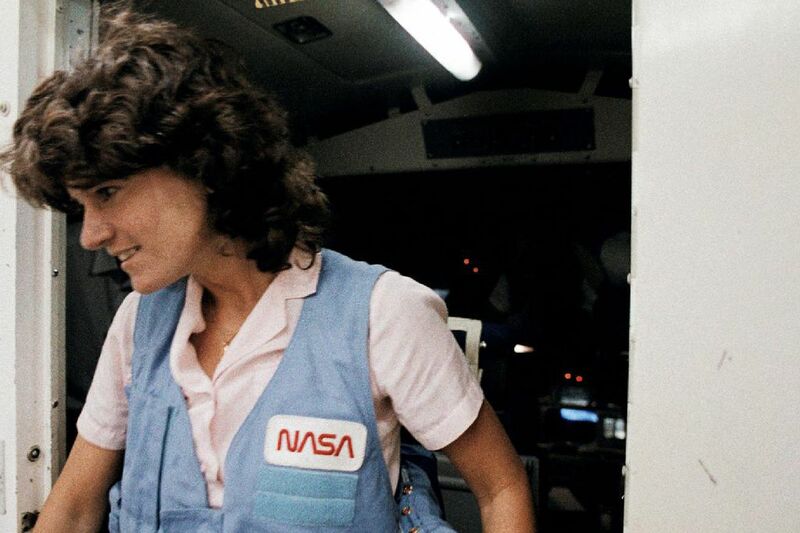 Her partner, Tam O’Shaughnessy, said the late astronaut collected stamps as a child, and would “be so honored” to appear on one. Her stamp will join others honoring STEM education, bioluminescent life, Mister Rogers, “mythological fire-eating dragons,” John Lennon, magic tricks, and more. Over the years, the USPS has depicted NASA’s achievements in the form of postage stamps — most recently, the New Horizons mission and the planets of the solar system in 2016, and this year’s solar eclipse. Ride, who died in 2012, has been honored in a variety of ways in recent years: Google depicted her in a Google Doodle in 2015, and she was immortalized in Lego form earlier this year.